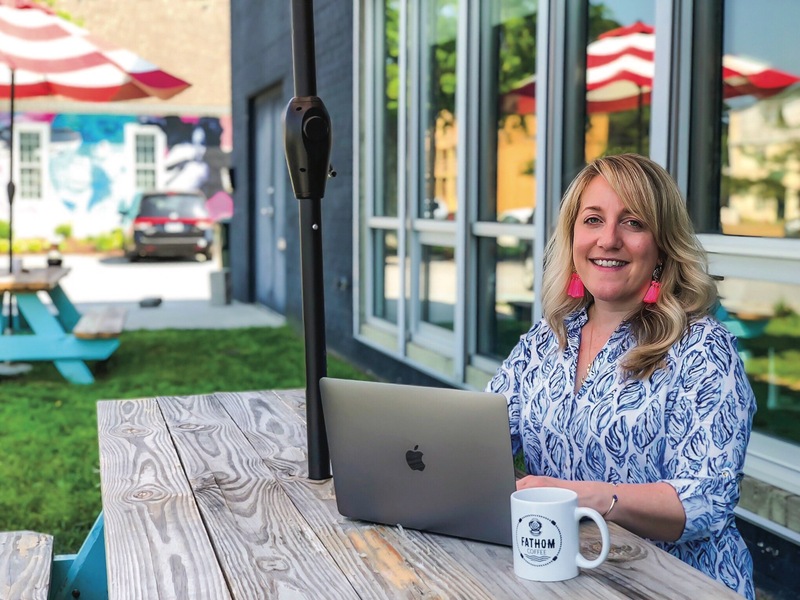 Lisa DeNoia knew she wanted to work in a coworking space near the Virginia Beach Oceanfront, specifically in the ViBe district. What beach-loving gal wouldn’t want to be able to ride her beach cruiser to work? But there wasn’t such a space. So in June 2016, she and partner Jeff Werby created one: 1701 Virginia Beach Coworking. But, if one business is good, then three are certainly better. DeNoia and Werby also own Port & Starboard, a technology consulting firm, and Fathom Coffee with Jeff’s dad, Bob, their coffee roaster partner. 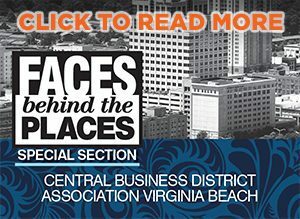 Named Entrepreneur of the Year 2018 and Small Business of the Year 2018 by the Hampton Roads Chamber, Lisa is proud and grateful but a little uncomfortable with the recognition she has received as a woman in business, noting that her male partner is just as invested as she is and, in fact, she is where she is because of their professional partnership. And where exactly is that? In just two years, the completely self-funded 1701 has achieved 80 percent of its goal of 100 members. “1701 solves the problem of people working in isolation,” DeNoia says. Transitioning from a library, coffee shop or parking space to a coworking space means that startups, small teams, podcasters, authors, technologists, artists and more now have their own physical spaces, networking opportunities, lightning-fast Wi-Fi, meeting rooms, AV equipment, private phone booths, a virtual community … and really good coffee. DeNoia counts as her greatest achievements 1701 members’ achievements. This group of individuals—with established professional backgrounds and an average age in the mid-30s—has applied for some 60 business licenses while eight businesses have “graduated out” to other locations. All in all, she estimates that 1701 has “touched” over 300 businesses in some way, shape or form. In some ways, DeNoia’s job is like parenting: if she does it right, her offspring move out, up and on. Fortunately, DeNoia and Werby refused to listen to the naysayers who assured them that they were going to fail. Instead, she says, “We have given [our members] a place where they feel comfortable giving it a shot … We celebrate together and commiserate together.” With the partners’ “talk less, do more” philosophy, not only have they incubated businesses but they have allowed individuals who likely never would have known each other to form meaningful relationships. Like most people, DeNoia finds that their challenges mirror that of most small businesses: time, money and balance. This duo has had to become experts at prioritizing as they seek some sort of equilibrium between the, at times, opposing forces of their work, their social lives and their passions and hobbies. For DeNoia, that includes serving on the ViBe Creative District Board, being vice president of the Friends of the Creative District and serving on the board for 757 Accelerate, a mentorship program for startups. DeNoia’s advice for other women seeking to start or grow their own businesses is to find a reliable business partner. She notes that there aren’t a lot of platonic male-female business owner relationships, such as hers and Werby’s, but that their partnership works because of their complimentary skill sets. He is more social; she more introverted. He is a technology guru who loves to tackle maintenance projects; she has no desire to get on a ladder, though on any given day, she can be found moving furniture or taking out the trash, in addition to the more glamorous work of consulting. But DeNoia and Werby also had a long, proven professional history together. DeNoia, a Virginia Tech graduate with a major in public relations and a minor in hospitality and tourism management, found herself working in the world of technology and government contracting, especially marketing and proposal writing. Some five years ago, she and Werby were managers and co-workers at an international marketing firm. On a business trip to San Francisco, they became enamored with the concept of communal workspace for rent. The rest is fix-what-isn’t-working-improve-what-is history.